Whether you are looking for information online or in print, the Central Rappahannock Regional Library's Virginiana Room at Fredericksburg Branch provides a welcoming harbor for genealogists and historians, experienced or not. Discover your family history with help from these online resources and our friendly staff. Those who are new to family research may wish to begin by reading our article, In the Beginning... A Checklist for Genealogical Neophytes. Academic journal articles covering most disciplines, including arts, history, humanities, science, medicine, and law. Its historical articles can be helpful for illuminating the places or events that may concern your genealogical research. The Virginiana Room at Fredericksburg Branch is the place to go if you want to learn more about ancestors—especially if they lived in our part of Virginia. You might start with our obituary indexes for local newspapers, dating to 1788. All the indexed obits can be found in our microfilmed copies of Fredericksburg newspapers. Look in our Family files to see what other researchers may have found. We can help you search for African American ancestors. If your ancestor fought for Virginia units in the Revolutionary War or Civil War, this is the place to look. 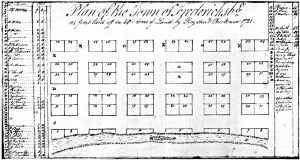 Early Fredericksburg city directories, lot history files and insurance maps can tell you when and where your ancestors lived in more recent times. Search census records on Ancestry.com - free on computers at the library. People from around the country come to our library to search for their roots. Stop by and see what we can do for you. You can schedule a free Training-on-Demand session with a librarian in the Virginiana Room. Topics include Using Ancestry: Library Edition, What's New in Online Genealogy, Finding and Using Fredericksburg's Old Newspapers, and a 60-minute, one-on-one session tailored to your needs that we call,"It's Your History!" Training-on-Demand sessions are also available at other branches where staff can show you how to use Ancestry: Library Edition for your research. Contact your local branch for an appointment. If you can't stop by the Virginiana Room, you can still ask us for assistance.